Incumbent NHS psychological services (IAPT) are characterised by lengthy waiting-lists and poor recovery rates, and these are subject to considerable geographic variation. Increased demand, reductions in real-terms investment in mental health services and increased competition for face-to-face sessions means that despite making the effort to see a GP, many will not receive face-to-face care, with this figure currently reaching one-in-three. 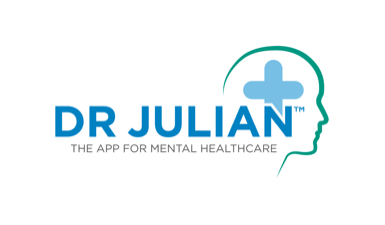 Dr Julian is an innovative healthcare platform that increases accessibility to mental healthcare. It connect patients securely within days, seven days a week, to vetted mental healthcare professionals. Patients choose the time and type of appointment they want, including options for audio, video, and text, which they can access from anywhere with an internet connection. Two-in-three mental health patients deteriorate, four-in-ten consider self-harm and a quarter contemplate suicide. Face-to-face IAPT costs the NHS £518 million per year. Dr Julian’s system costs £45 for low intensity IAPT, £60 for high intensity support and £100 per session for secondary care clinical psychology support. This represents a potential cost saving for the NHS of £296 million at a weighted average, but more realistically £29 million if 10% of treatments were undertaken using Dr Julian.